SHOULDER PAIN, SHOULDER PROBLEMS AND TREATMENT OPTIONS. 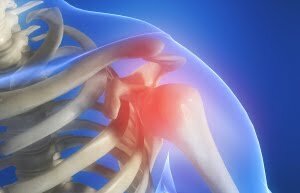 Shoulder pain , Shoulder problems and treatment options. SHOULDER PAIN The shoulder is made up of three bones: the humerus, (upper arm) scapula, (shoulder blade) and clavicle (collarbone.) This combination of muscles and tendons keeps the arm bone fixed in the shoulder socket. The tissues which cover the head of the upper arm bone and attach it to the shoulder blade socket are called the rotator cuff. Any injury or damage to these muscles, tendons or bones, can result in a lack of mobility and severe pain. The pain could be temporary or it may get worse and require medical diagnosis and treatment. Some common causes of shoulder pain. Bursitis. A bursa is a small fluid-filled sac located in joints throughout the body, including the shoulder. They act as cushions between bones and soft tissue, helping to reduce movement friction. 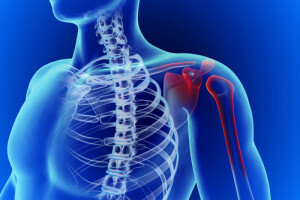 Overuse of the shoulder can lead to swelling and inflammation causing other tissues and tendons in the shoulder to become inflamed and painful. Tendon tears.A tendon tear is usually the result of a serious shoulder injury from a fall or a sporting event. It can also be caused by degenerative tendon changes due to advancing age and long-term overuse, or wear and tear. The tendon is often separated from its attachment to the bone, bringing a great deal of shoulder pain. Instability. Shoulder instability occurs when the shoulder is dislocated, either partially or completely. A partial dislocation involves the upper arm coming partially out of the socket, while a full dislocation means that the ball comes completely out of the socket. This type of shoulder injury also leads to huge shoulder pain. Arthritis. 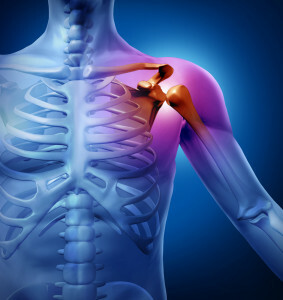 The most common kind of arthritis in the shoulder is osteoarthritis, which is related to sports injuries, an injury in the work place or just chronic “wear and tear” resulting in a painful restriction of movement. Broken bones, such as the collarbone, arm bone or the shoulder blade, which is most often caused by a fall, a contact sports injury, or perhaps a motor vehicle accident. Fractures often result in severe pain and swelling Treatment protocols for shoulder pain and shoulder problems. The very first option is a visit to a medical professional to identify the cause of the shoulder problem. The doctor will schedule various specific tests to help identify the cause of the pain or problem before making a diagnosis. Will I require shoulder surgery? Depending on the diagnosis and the severity of the problem, shoulder surgery could be recommended. Surgery is usually suggested for rotator cuff repair to reattach torn tendons, removal of arthritic bone spurs, and general repair of soft tissue damage. If shoulder surgery is what you need, the San Diego Orthopedic Surgeon Center is an excellent choice for successful shoulder surgery to afford you permanent relief. After a comprehensive orthopedic assessment and medical examination, you will be given options for the type of shoulder treatment which needs to be performed. This may include arthroscopy, which is minimally invasive. At the San Diego Center you will also be given advice concerning pain management, and the best way to exercise so that your quality of life is restored in the shortest time possible.